A very popular bitter taste Indian recipe. Botanical Name: Corchorus capsularis L. and C. olitorius L.
PAAT/JUTE TREE named as Jute mallow is a very nutritious leafy vegetable, rich in iron, protein, calcium, thiamin, riboflavin, niacin, folate, and natural dietary fiber. It has a long history and a variety of names. First cultivated in Egypt. Mulukhiyyah is an Egyptian national dish which is widely popular now in Lebanon and various countries of today’s African continent, Arabian countries, and in Philippines It is also called Saluyot. Each region has its own version. 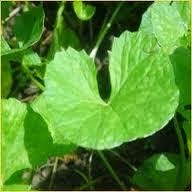 Japan has been importing dry jute leaf from Africa and they are using it as the substitute for coffee and tea. 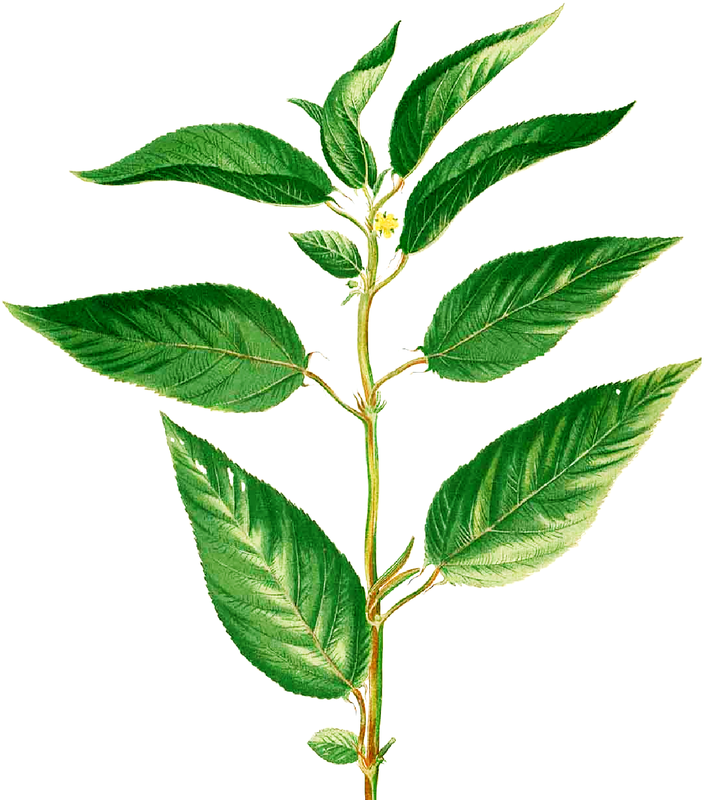 In Europe, jute leaves are being used as soup . It is rather bitter and when boiled the resulting liquid is a thick one, the texture becomes similar to okra thus prompting the name 'Bush okra". When harvested young, jute leaves are flavorful and tender while older leaves tend to be more woody and fibrous making them less ideal for consumption. Bengali: nalta sag or shaak, Nalita or Koshta. Assamese: Titamara, Pata or Marapata. Oriya: Jhot, Jhout, Jhuta or Toria. Hindi: Chiench, Janascha, Narcha, Singhin, Pat, Titapat, or Jute. 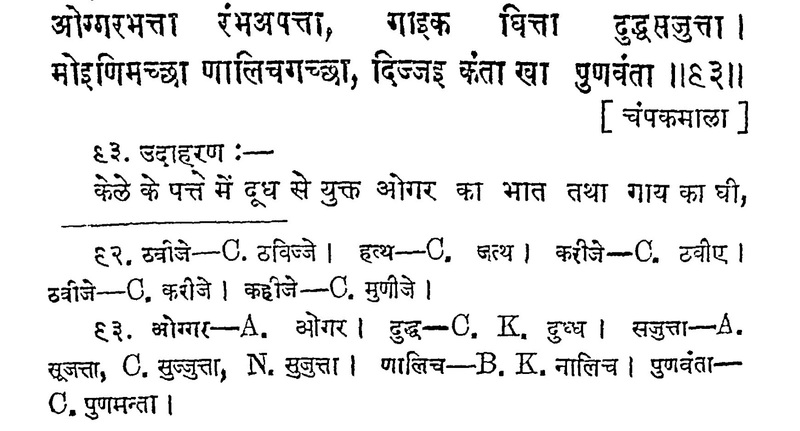 Sanskrit: Cancu, Kalasaka, Nadibhanga, Nadika, Patta or Singgika. Kannada: Sanabu, Chinchala Gida, Chunchala Gida or Kinikini Beeja. Marathi: Kurru Chantz, Chaunchan, Choche, Kulichi Bhaaji, Taankal Joot, Banpat or Tupkati. This Prakrit versified sloka found in "Prakrit Paingalam" described 'bengalees' one of the favorite traditional (shanaton) feast. মৌরলা মাছ ও নালিতা শাক - কান্তা দিচ্ছে পুণ্যবান খাচ্ছে"
Paat pata (পাট পাতা) is a favorite dish during the months of summer, especially in Sambalpur and the western part of Odisha. Usually it is lightly sautéed and eaten along rice. A traditional meal invariably begins with a khar (a group of bitter dishes) in Assam, Xôkôta is one of them, preparation made with dry jute leaf. This is a simplest Bengal village type recipe for a regular Bengali meal. Many other variations may be there, I made it as pure regional Bengal household likes it, not like a bora or pakora. For this recipe dried leaves are best. It can be made with fresh leaves also. Wash the leaves gently without damaging them and drain thoroughly. Do not chop the leaves, put the whole leaf in to the binder mix, and take care that the leaves do not get crushed or too much damaged otherwise it will become slimy. In the meanwhile put a flat tawa or nonstick fry pan on heat for shallow fry. Wet your fingers with water. Take leaf one by one. Do not be tempted to add more binder. It will just be enough to stick to the leaves and will keep the flavor of jute leaf. The leaf will just be quite visible. Now fold the whole leaf once and press them so that they stay flat. Turn the leaves and let it be for a few minutes. The leaves and the binder will become crunchy slight black and green in color. Serve with white steamed rice and raw green chili (optional). Perfectly cooked leaves can be crushed over rice.